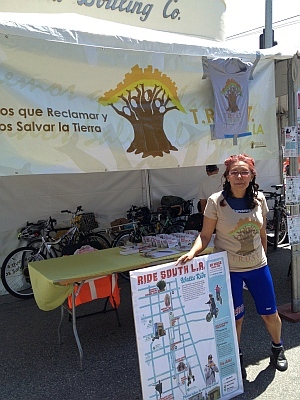 » RideSouthLA map launch at CicLAvia Ride South L.A.
We launched the RideSouthLA map during Sunday’s CicLAvia, at the South Hub in front of the African American Firefighter Museum. 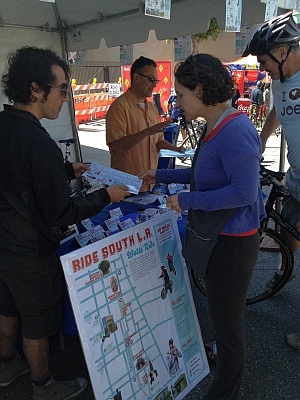 We handed out about 500 copies of the map, and many people asked “when is the next ride?”. 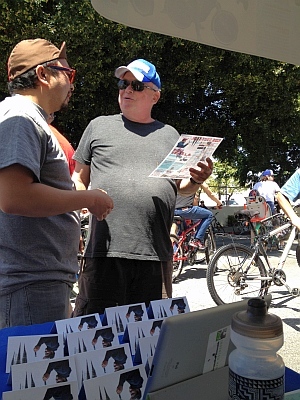 No date has been set yet, but the East Side Riders tell us that they are planning to lead neighborhood tours in the coming months. 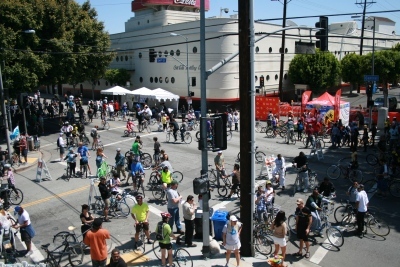 We will post the Ride Schedule on this site. 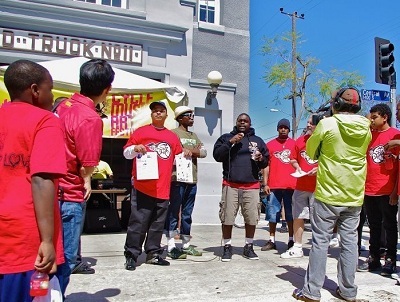 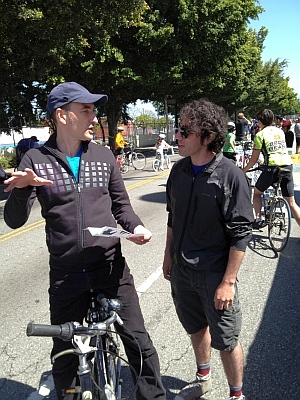 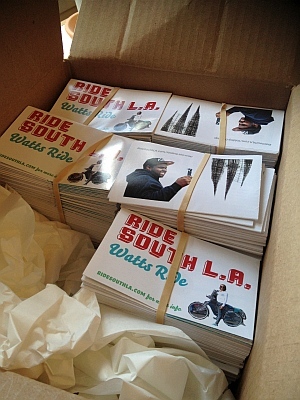 In the meantime, you can sign up to be notified of upcoming rides through South LA.